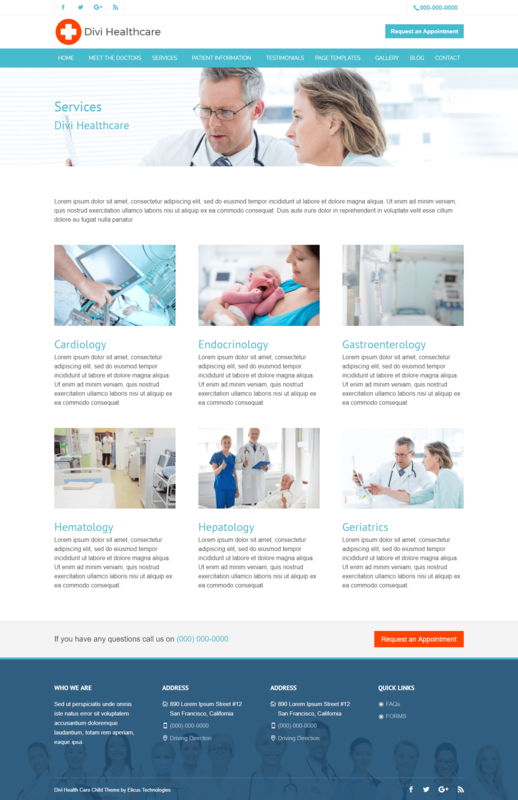 Divi Healthcare is a Divi Child for medical websites. It has the page layouts needed by most of the standard medical websites. All the pages are fully responsive and easy to import.